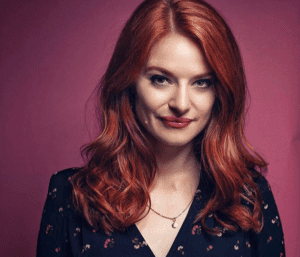 Blush can be a touchy subject for redheads — should you wear it or not wear it? 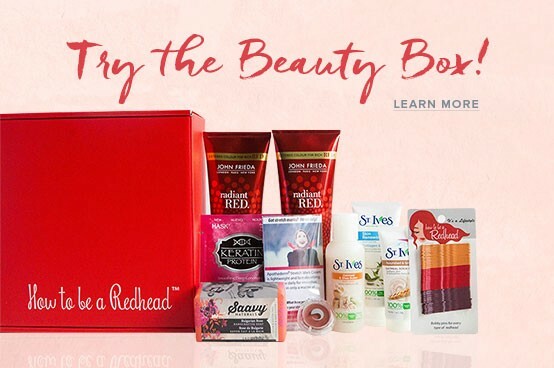 If you choose the right shade based on your red hair and skin, you will fall in love with it! 1. 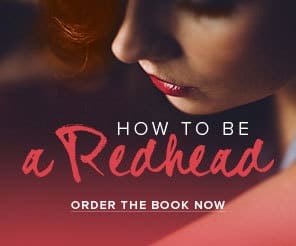 JESSICA CHASTAIN: For those with light red hair, a subtle peach is a great option. SPLURGE: Jour Mineral Powder Blush in ‘Peach Bouquet’. 2. 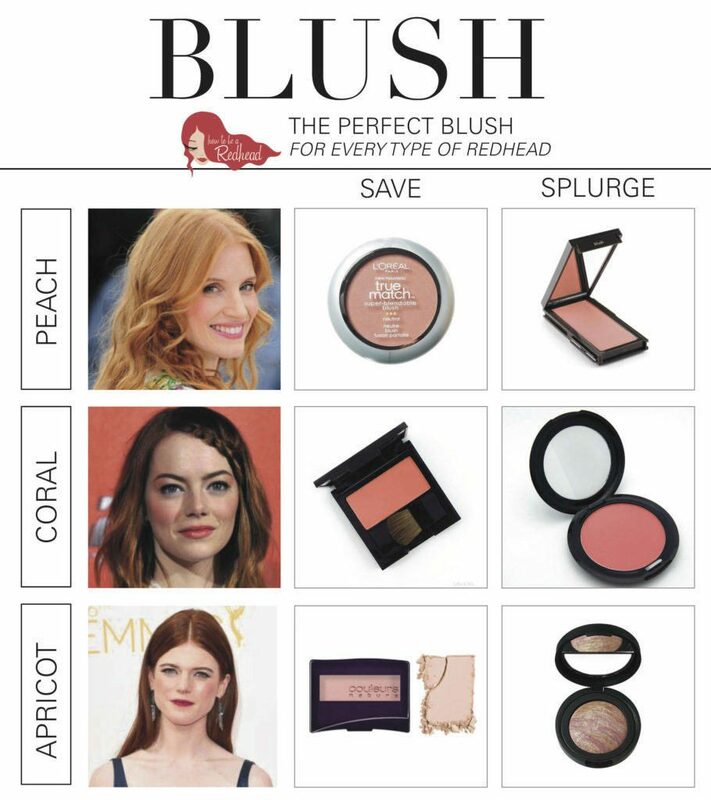 EMMA STONE: If you’re a deep strawberry blonde, you’re able to go for the most popular coral blush shades. 3. 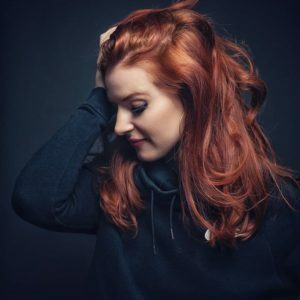 ROSE LESLIE: If you’re a true auburn redhead, the goal is to never add more red to the skin. 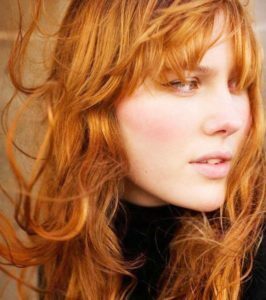 That’s why we love the color ‘apricot’. It looks like a bronzer but brings out the cheekbones in a beautiful way. 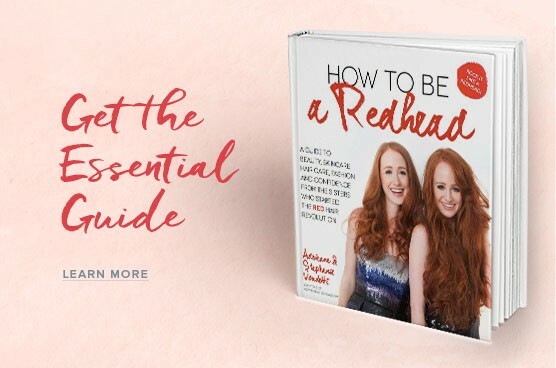 The tutorial video below showcases the Tarte Cosmetics blush in Harmony — another ‘Redhead Friendly’ approved favorite. 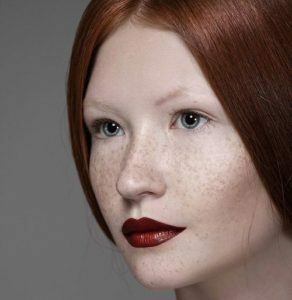 RELATED: REDHEAD MAKEUP MYTHS… BUSTED!